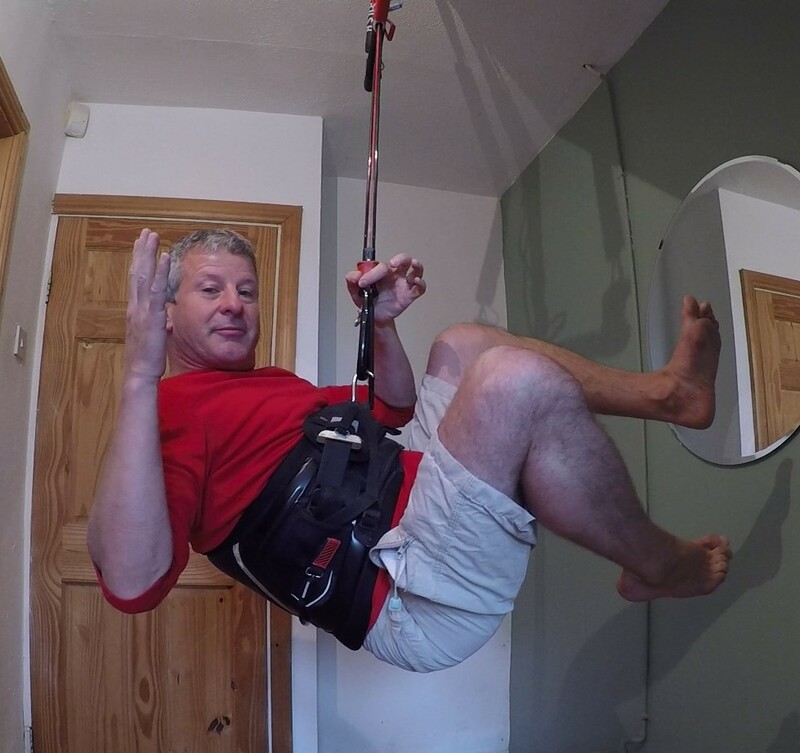 When we hear about kitesurfing accidents, we notice that they don’t only happen to beginners. They often happen to intermediate and even advanced kitesurfers. On face value one might assume that beginners make more mistakes, and thus they have more accidents than other kitesurfers. It’s true that kitesurfing is an extreme sport and that while doing it you are hooked to a powerful kite and doing extreme tricks means, for example, you can easily jump up to 5 meters in the air if you know what you are doing. 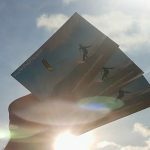 But in reality, when you are watching kitesurfers in action on a spot, well, you can see that most of them are not doing anything extreme, and not even jumping very high. But still accidents happen. Can accidents happen in kitesurfing, no matter your level or what you are doing? Our kitesurfing safeties are not perfect! 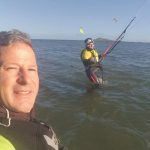 Let’s talk about kitesurfing safety, and first the three safeties that are available to us when we are flying a kite and something goes wrong. I already made a blog about it here. If you have read it, you’ll already know them and know that they are not perfect. 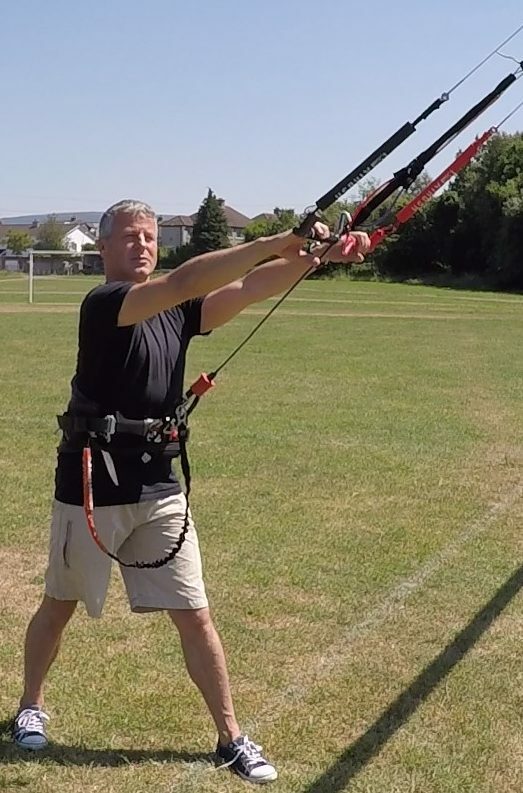 The first kitesurfing safety that is available, when you lose control or get too much pull from the kite is to let go of the bar. When you do this, the kite stops pulling. A kitesurfing kite has a profile of a wing, and wind is a flue of air. When air goes through a wing, it creates lift and drag. These two forces then combined create tension in your lines. 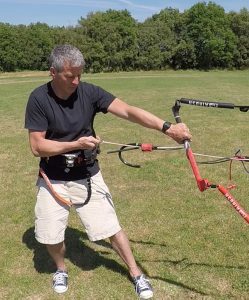 When you let go of the bar, the angle between the kite and the wind reduces, lift and drag decreases and so does the tension in your line. You don’t get pull anymore by the kite. But why does nobody let’s go of the bar? The first reflex of any beginner is to grab the bar, because this is a natural reflex. When you lose balance, lose control, get scared or stressed, you will grab what ever is in front of you and that will be the bar. On the top of that, in a stressful situation like this, your brain slows down, even freezes, and you forget what you are supposed to do to remain safe, so you don’t let go of the bar. This kitesurfing safety being an active safety means that if you don’t use it, there is no safety. The beginner usually starts to lose this reflex of grabbing after few crashes, hopefully in the water and knows then the right thing to do is to let go. At the same time, he/she will start to have better control of the kite. Kitesurfers start to think that every time they start to loose control of the kite that they recover quickly before it crashes and so still don’t let go the bar until it’s too late. This means that the more people improve their kite flying skills, the more they will be tempted to keep their hands on the bar. But that means the kite will keep all its power and here lies the danger. 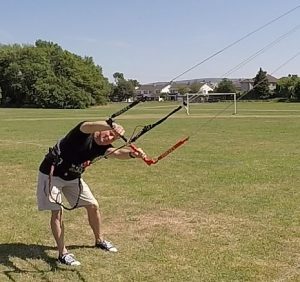 Anyone who knows how to fly a kitesurfing kite knows that the worst thing to do if you loose control is to pull the bar. 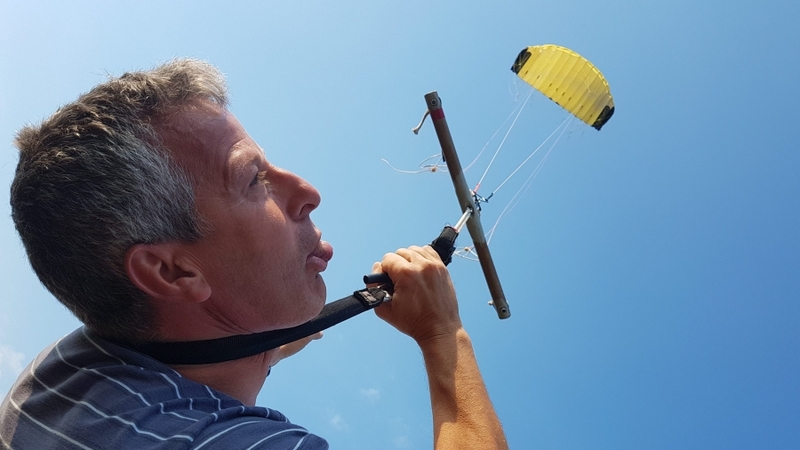 As the kitesurfer doesn’t want to let go of the bar, he will push the bar away, thinking to depower the kite and to keep control of the kite by leaving their hands on the bar. One good thing about pushing the bar away is that the kite is going to fly to the neutral zone where the kite will stop pulling. What you need to know is that if you don’t let go of the bar but just push it away from you, you can reach all the way to the end of the depower line if your kite is in the neutral zone. But if the kite is inside the wind window, you will need to bend forward to reach the end of the depower line. The problem is when the kite is pulling, you should put your weight against the kite. It means, if you try to push the bar, you won’t be able to reach all the way to the end of the depower line. So really, you are pulling the bar! If you do that when the kite is flying from inside the wind window toward the neutral zone, you are doing the same thing as when you do a jump. And what you get is a big pull from the kite. Kite in the neutral zone, it is easy to push the bar all the way to the end of the depower line and put your weigh against the kite. Kite inside the wind window. It is harder to reach to the end of the depower line and to put my weigh against the kite. If I put my weigh against the kite, I can’t reach all the way to the end of the depower line. If I put my weigh against the kite when it is closed to the power zone, my bar is far away from the end of the depower line, I will get a big pull from the kite! The only way to put your weigh against the kite and to bring your bar to the end of the depower line when your kite is closed to the power zone is to let go of the bar! Just let go of the bar! 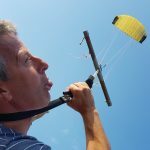 If you let go of the bar when the kite is inside your wind window, not only does the kite stop pulling but flies to get to the neutral zone where you want it to be. There you can put your hands back on the bar, and gain control! As always you should have the primary safety in the back of your mind. The primary safety/second safety/chicken loop QRSS (quick release safety system) (different names, same thing). The primary kitesurfing safety is the one that kills the kite (with the first safety, the kite can still relaunch by itself, you have to keep an eye on it). You kill it by pulling the safety line. A kite flies with four lines, two at the front, two at the back. 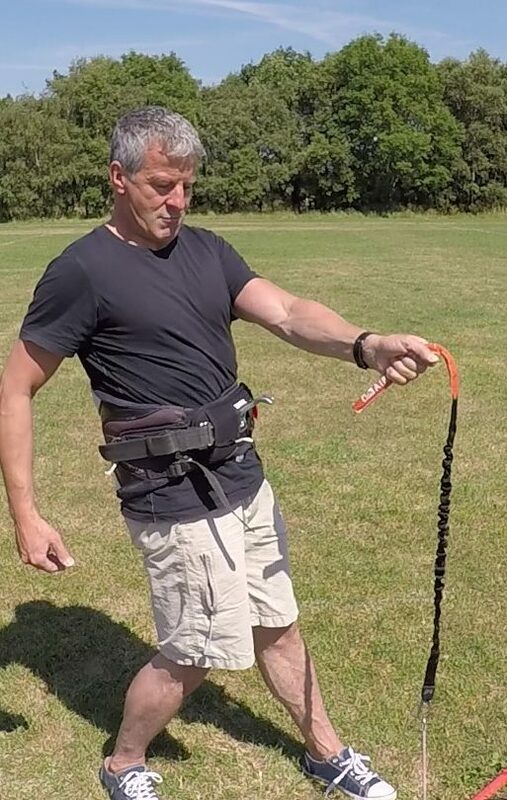 A safety line is a line connected to one or two lines of the kite, and when you pull it, the kite is only in the air on one or two lines (the other lines being slack), and it can’t fly this way, so it dies. How it works? When you activate the QRSS, you become unhooked from the kite. You are only then connected to the kite by the leash. The leash is connected to you on one side and to the safety line on the other side. The leash pulls the safety line and kills the kite. The primary safety is used when you are in danger. 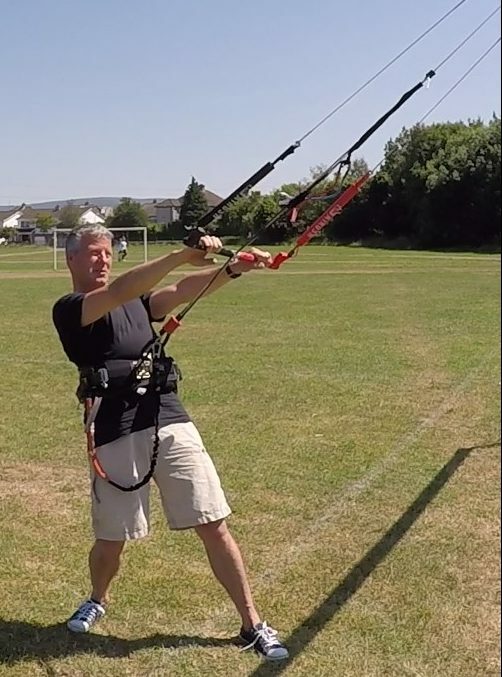 On hard ground, if you loose control or get too much pull from the kite, you get to it straight away. In this case the first safety would not be enough as there would be too much risk that the kite may relaunch (you can’t take this risk on hard ground). In the water, if the first safety doesn’t work, and the kite is still pulling, you go to second safety. Just like the first safety, the primary safety, is an active safety. This means, if you don’t activate it, there is no safety. It is also called the second safety because you have to go through the first safety to use it. But as we have said, everybody finds it hard to let go the bar, and this can be a problem. You might hesitate to use the primary safety because there is a risk of the kite getting damaged. In the water, the kite can get caught in waves or get all mixed up. If there is seaweed, you might hesitate to send your kite into the water. 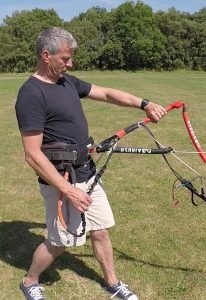 On hard ground, when you activate the second safety, the kite might hit the ground hard or get damaged on shells, stones or even rough plants. 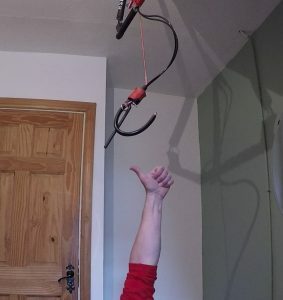 The Primary Kitesurfing Safety is not without fail. Also, important to remember is that the second safety doesn’t work all the time. It is rare but it can happen. If the bar is tangled with the depower line (and/or back line), the bar will be stuck and you won’t be able to push it away. Then the QRSS or the safety line gets stuck, meaning you don’t have second safety anymore. Also, the bar or a line can get caught in the hook meaning that the kite is permanently tangled with you. This happen usually after a crash, when your lines get slack and you fall into them. Bar and depower line are tangled. If that happen, you will suddenly get a big pull from the kite because the bar is stucked pulled in! Using the primary safety might not be enough. If there is a lot of tension in your lines, your safety line will be stuck around the bar and you kite will still pull you. lines caught in the spreader bar hook. Your kite will pull a lot specially because when that happen, the kite usually start to loop, getting very close to the power zone and giving you a stroke of power at each loop. Dont forget all kitesurfing spreader bar has got a knife hidden under the hook. If lines are tangled with you, on your hook or your body, you can use this knife to cut them. 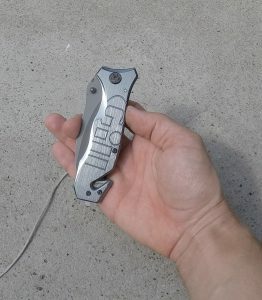 You can have this kind of knife on yourself too. Use the knife you have on your spreader bar, under the hook or carry one on yourself. If lines are tangled with your body, and tension in your lines are very high, you can use your knife to get rid of it. 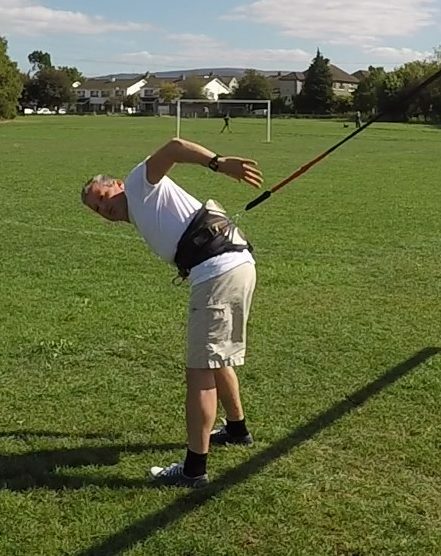 You can stall the kite by pulling one or two back lines (check this video from Anton Chernyshov here). Stalling a kite is killing the lift the kite is getting by giving it too much angle with the wind. If the angle between the kite and the wind the kite is feeling is too much, the force Lift dies. The kite can’t fly anymore and fall in the water or on the ground. You might still get tension in your lines because the kite is still getting the force Drag, but not as much as when it was getting lift too. You can also use a KRS Mystic safety spreader bar (check here). This release system is always within reach on the left-hand side of your harness. 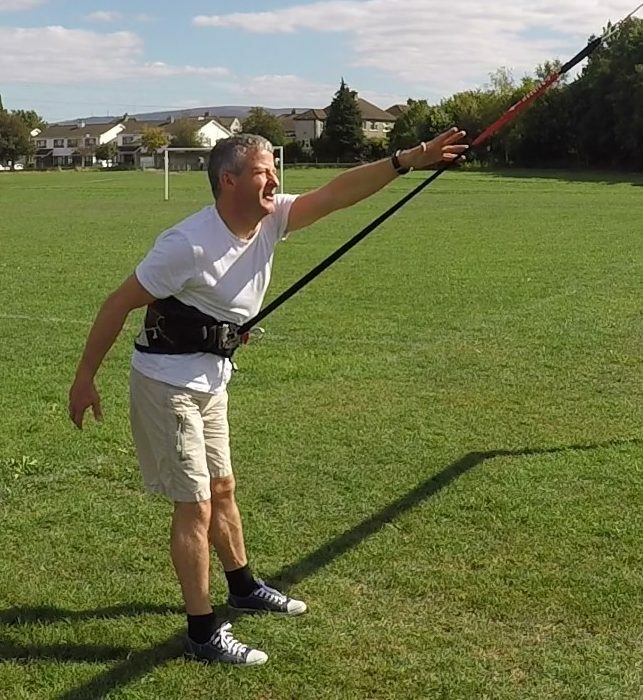 A pull on the handle will release the hook from your spreader bar and you will be released from your kite and everything caught in the hook, lines or bar. 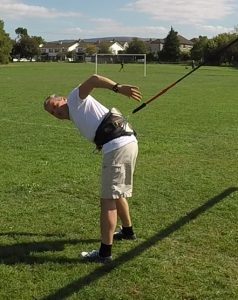 If line(s) are tangled with your body, the KRS won’t be enough, you need to cut the line(s) or stall the kite. It is not easy and fast, but its possible. Don’t open it the usual way, with the easy and fast opening system as it won’t be possible. The pull of the kite will put too much tension on your opening system. But take it off by pulling the Straps from the Buckles. It is actually easier to do it when there is more tension on them. Meaning when your kite is pulling. 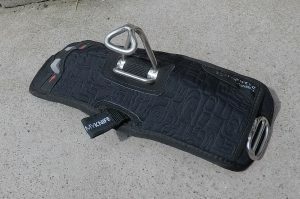 Like there are two straps to take off, it doesn’t make that method very easy and fast. If line(s) are tangled with your body, get rid of your harness won’t be enough. You need to cut the line(s) or stall the kite. This one is a tricky one. It enables you to get rid of the kite, you won’t be connected to it anymore. But using it can be dangerous and will certainly cause inconvenience. For that reason, we use it as a last option. However, using it could mean you are losing your kite. In deep water, the kite is a good flotation device, which if you are far from the beach, you could use to come back to the beach faster than just swimming. The kite, even in the water can catch a bit of wind, and if the wind is on shore or cross on shore, you will be brought back to the shore faster. Keeping the kite also makes you visible to rescuers. This can also mean that the loose kite flying could hurt somebody in the water or on the beach. Nothing safe about that. You should always check your surroundings and think before using the third safety. Should you use it? 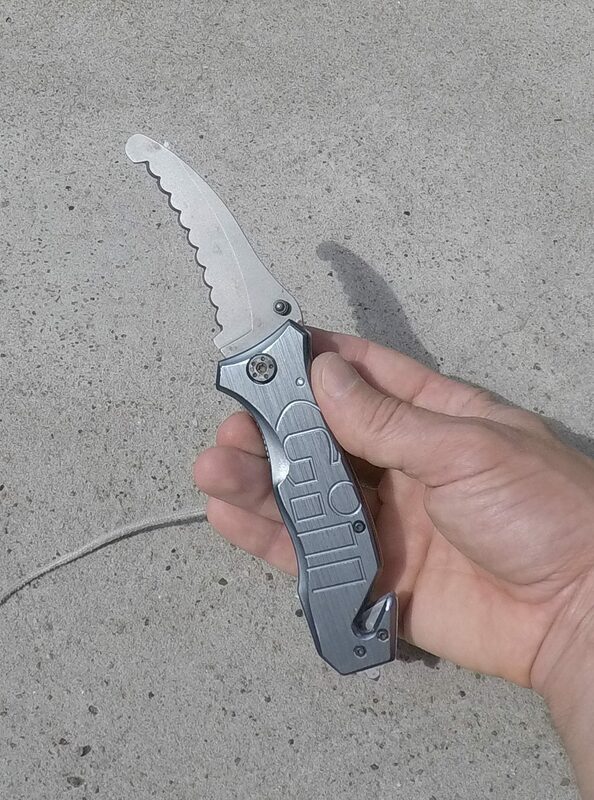 Or will using it put someone else in danger! It is also an active safety. Attach your leash to the front of your harness, to make the leash quick release safety system easy to reach. Do not attach the leash to the back of your harness. 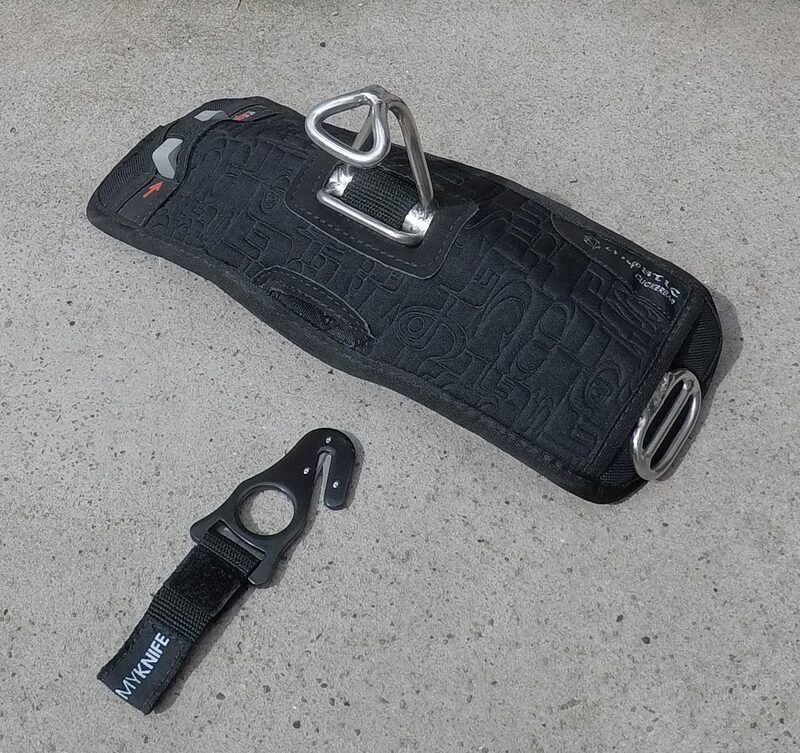 You will not be able to reach to the leash quick release safety system. 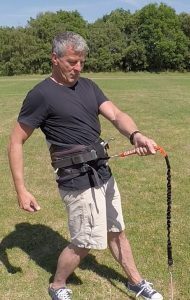 Do not make the mistake to attach your leash upside down, you will not be able to reach to the leash quick release system. So, nothing perfect about kitesurfing safety so far! You should be aware than in kitesurfing safety, you will be tempted to do the wrong thing. You would better have a good think about it before. Everything has to be very clear in your mind, because when things happen, no time to think, you have to react fast. If you don’t let go of the bar because it is not your natural reflex or because you think you know better, you will not activate the second safety. When the kite pulls a lot, you are gone, too late for using safety now. It is nearly impossible to activate the safety when you are being pulled too much. So, what can you do about it! Well these situations where you should use the kitesurfing safeties, they happen for a reason. There are obvious reasons. If you haven’t taken enough lessons and you don’t know how to fly a kite well enough, you will lose control, and you probably will hurt yourself or someone else. But that’s you being overconfident and careless, and this is not the point of the blog. The reasons why things go wrong in kitesurfing are known and listed. 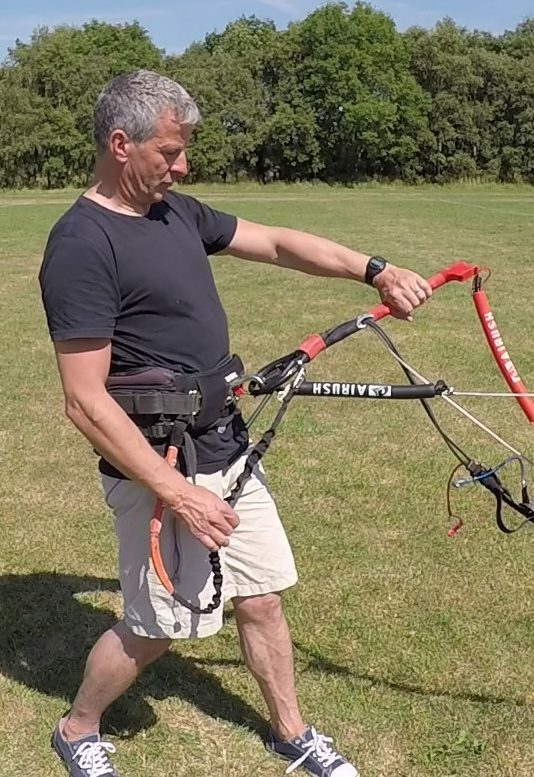 I believe if you know what can make things go wrong, if you have a list of them, and do your checks before you send a kite in the air it is almost certain that things will go well, you will not need to use your safeties, and you will make your session safe. -Pre-fly checks S.E.A.T.S (Surface, Eye (on the wind), Assembly, Tuning, final Seconds check). I will make a blog for all these checks but let’s explain them and see just a few examples of what could go wrong if you don’t do your checks. When you plan a kitesurfing session, you will check the wind. Not any kind of wind, a wind than is safe in direction, power and quality. Different kind of wind in the world. You can predict some wind easily as it is forecast along with bad weather. You have high pressure area and low-pressure area. The air moves from the high pressure to the low pressure and that’s how wind is created. The good thing is it can be forecast but it is not an exact science. It’s only a prediction and you will never exactly get what’s forecast. Also, It is usually gusty and in kitesurfing we don’t like gusts. There are other winds that are more difficult to predict because they are more of a localised phenomenon. A sea breeze, for instance, created because of the difference in temperature between the sea and the shore. Another wind is a mountain is nearby, it is created because of the difference of temperature between the top of the mountain and the valley. The good thing about these winds are they can be very regular, not gusty, and that’s good for us. Being hard to predict, it is better to ask locals to the area for assistance. There are also trade winds, that can be very good too. But they occur near the equator so most of us are not lucky enough to live there. In this blog, I will mainly refer to winds than can be forecast (the one from the bad weather). For direction, you want the wind that brings you back to the shore if anything goes wrong. What could happen if you don’t check for change of wind direction? For power, first you want a wind that suits the kite size you have (check kite size blog here). In kitesurfing, the weather conditions will suit a certain kite size. If you take too small a kite, you won’t be able to go upwind. If you take a kite that is too big, you will find it very hard to control the kite, it won’t be enjoyable, and you may lose control. This may lead to you damaging your kite, or worse, hurting yourself. If you don’t check the wind conditions they may change, as forecast, maybe get a lot stronger, you will get overpower, maybe lose control, get pulled by the kite, ……..or maybe the wind might stop, like it was forecast, when you are in the middle of deep water, and you will have to come back swimming, or even if the wind gets weaker like it was forecast, you might finish downwind, close to the rocks at the end of the beach. This might lead to the possibility of serious injury. Our kitesurfing kites are power kites, they have the profile of a wing. Wings fly better in good quality wind. You’ve all had this experience in a plane, when the pilot asks you to buckle your belt because of turbulence or on landing when the wind is very gusty. Well it is the same in kitesurfing, we are dependent on wind quality. If the wind is constant, great. But if we get bad gusts (change of wind in direction or power, up and down), or bad loll (down and up), the flight can be bumpy. Now what can happen if you don’t check for wind quality? You will probably not enjoy it, and you might even damage your kite and/or hurt yourself. Sometimes it is just better to pass than having a bad time. 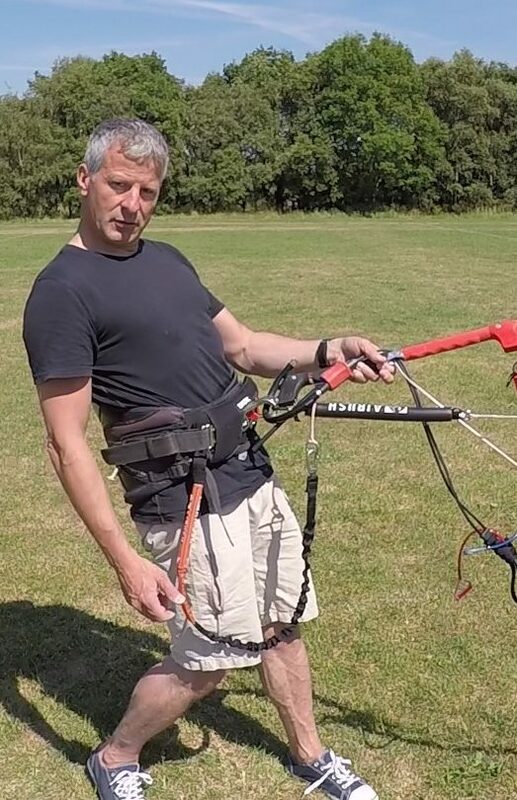 If you go for it and you know it will be gusty, make sure your kite is good for gusts, and got the proper set up on your kite. The setting hard pressure on your kite will take better to the strong and gusty wind. If you know it will be gusty, go for flat water. You will create more wind speed (and that’s wind with no gust) which will make the kite feel smoother. At the same time as you are checking the wind conditions, at home on internet, you will also be checking for water conditions, such as the tides. What can happen if you don’t check them? If you don’t check for change in water condition, you will not know when the most current will be. (rule of 12). Current can be very strong in some spots. If you know your tides, you will come to the beach at the best time for the best condition. A lagoon will give you shallow water at high tide, or for a normal beach, shallow water will be at low tide. If it’s a place with big waves, and you are a beginner, low tide will be the best time too. When you are on the spot, you will check if the conditions of the place permit a kitesurfing session. You can assess at the area, the water conditions, the people there, the wind and weather condition, the hazards and how you can best stay away from them. To be sure you don’t forget anything, think S.H.O.E., when you put your shoe on the beach, you do a site assessment. S.H.O.E. (Surface, Hazards, Other, Environment (wind and water)) is your site assessment. What if you don’t do it. Surface: If the surface, the beach for example, is not long enough, if something goes wrong, you will crash into something and hurt yourself. If the surface doesn’t suit, like big waves in the water, for example, and you can just manage your waterstart, well, it is not going to go well. Hazards: If you didn’t spot the hazards, and don’t try to stay away from them, then it is more likely you will run into trouble. So many people still launch five meters from rocks and that’s really playing Russian roulette. Three kinds of hazards you should look for and stay away from. -Anything than will confuse your wind. Buildings, trees, cliffs, etc… It is a very important one than kitesurfers forget often. 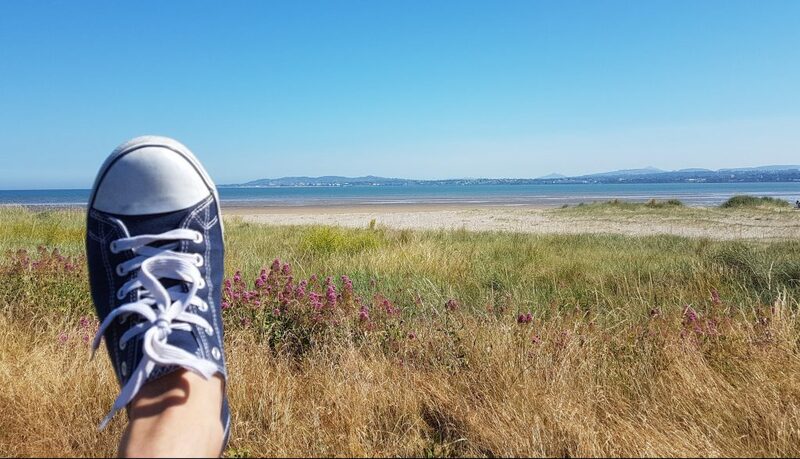 Others: If you don’t have a look at other beach users, you will not plan your session to be safe for you or the others and someone will get hurt. You have to be aware of the people around you. Really you should keep your wind window clear of people and nobody less than 50 meters downwind of you. You should avoid aswell your kite windwindow to be in contact with others kitesurfers kite windwindows. You already checked at home on internet for change of wind condition. Now you are on the beach, you check what you are getting. 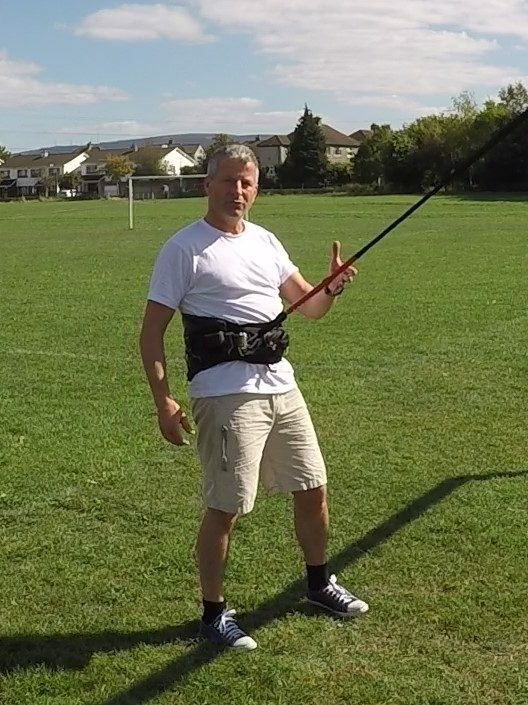 The wind direction, the quality of the wind has to be checked to make your session safe. The power of the wind will make you choose your kite size (check how to choose your kite size here). Wind has to be monitored throughout your session. If you don’t do it. You might not see, for example, this black cloud coming behind you, bringing a lot of strong and gusty wind with it. A lot of accident happen like that, with a change of weather condition and they are usually predictable. You need to know the tides and the current they create. If you don’t check them, you might get to an area with current that is going to change the wind your kite is feeling. If the current is in the same direction as the wind, you will suddenly move downwind, without doing anything. That’s creating a wind that goes against the true wind, weakening it (for example, if the wind is 12 knots, and there is a current in the water of 4 knots in the same direction as the wind. Because the current moves you downwind at a speed of 4 knots, it is creating a wind of 4 knots going against the 12 knots wind, and your kite is now feeling a wind of 8 knots (12 minus 4), barely enough for the kite to stay in the air). The kite will not feel as much wind. You suddenly won’t be able to get upwind anymore and you will go where you don’t want to go. Or, maybe the kite might just fall in the water, you won’t be able to relaunch because there won’t be enough wind for the kite and due to the current, you may get tangled in your lines, and worst-case scenario – drown. Be careful the ocean has a current as well and not because of the tides. It can be strong or not, depend of where you are. If the place is new to you, you need to ask the locals about it. 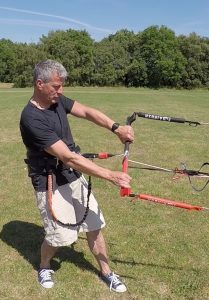 The last thing you do before to send a kite into the air are the pre-fly check: S.E.A.T.S. Your kite is a wing and you are the pilot. Like the pilots of a plane, when they are taking their SEATS, before taking off, they are doing the pre-fly checks and so are you. –Check the state of the materiel as you are setting it up. Specially the parts with tendency to wear. Your materiel is as strong as its weakest link, look for it. Get used to check your material at the end of a session too, it will give you time to get it fixed before the next session. If you don’t check and a line breaks for example, the kite can start to loop, and you can get pulled to the ground and get hurt. If your materiel is ready to break, you should see it. Check your Quick Release System (Primary safety) is working. If you don’t, it could be dirty, full of sand, and get stuck when you will need it in an emergency. Be careful, the Quick Release Safety System should be easy to activate even with a lot of tension on it. Meaning, if all your weigh is on the front line, like if you were lifted by the kite in the air, you should still be able to activate easily the Q.R.S.S. with one hand. Check your Quick Release System is easy to activate under your all weight. Two fingers should be enough. Some old safety systems were very hard and sometimes impossible to activate under tension. It is always better to check at home, just to be sure! 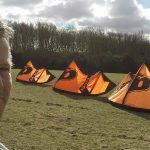 –Keep an eye on the wind to know if your kite size is still right. If you don’t, and the wind gets stronger, you might get overpowered when you launch the kite, and if something wrong happens, because you are overpowered, it will make everything much worse! Sometimes, it just means you need to wait for this black cloud to go by. Or if the wind dies and you didn’t notice it and try to launch, you might just look stupid. –Assembly or Setting of the kite. Set up your kite properly, double check it. a loose lark’s head knot can slip from the knot it is attach to, and that happens more often than you think. It is like a line breaking. Or your bridles are tangled and you didn’t check them. And that your kite doing something unexpected when launching it. Make sure there is enough weight on the kite, sand usually when you are on a sandy beach. If not, the wind will blow it away with risk to hurt someone downwind from you. –Tuning of the kite. A kite that is not well tuned will not fly well, especially in gusty conditions. What can happen if it’s not well tuned? A strong gust might send the bar all the way up on your depower line. If the kite is badly tuned, the bar won’t be able to go high enough to let the gust go by, and you will be lifted in the air. –Last seconds pre-flight check. Few important things to check still in these last few seconds before sending the kite in the air. -1) Put your board on the way to the water, and make sure it will be outside of your wind window when you will be launching. You don’t want your lines being caught in the board if something goes wrong. And you don’t want to come back to a busy launching area just to get your board. When you do that, have a last feel at the wind, did it change? -2) Pick the right helper, talk to him, tell him if you are a beginner,he will check even more what you do is right, two brains are better than one! Tell him what way you are going to launch, it is usually the way with the kite on the water side. that’s because, if you do that, you will not need to bring your kite to the zenith of your wind window where there is a risk for you to be lofted if you are in a gusty place and you didn’t tuned your kite right and/or took a kite too big. -3) Attach your leash to the safety line and that before the helper start to manipulate your kite to protect members of the public in case the helper let go the kite by accident. Don’t hooked yourself in yet, there is no need. Remember that the curse of kitesurfing is we are hooked in. Because of that, when something goes wrong, we get pull straight away. 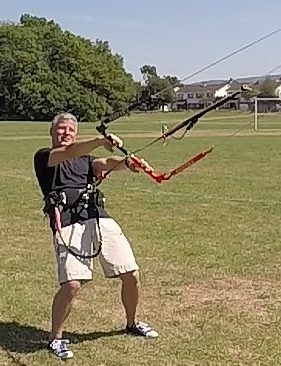 Look how I hold the kite when I self launch unhooked. The point to walk holding your bar and line this way is if your helper is letting go the kite too early, you can still be in control of the kite. Just watch the video. 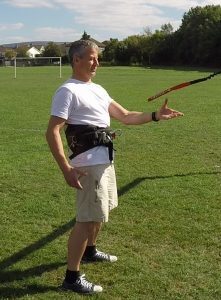 If you hold the kite this way, when you are getting at the right place for launching the kite, you should feel the right tension in your lines, and the kite should nearly hold by itself in the air, just lightly hold by your helper. Have a look at your lines, check they are not tangled. -5) Do a 360 degree check to make sure there are not new danger. What could happen if you don’t do it? 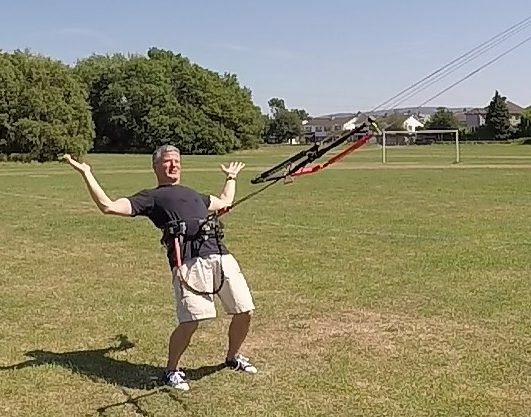 If you don’t do your 360 check, you might launch your kite and someone else with a kite is just behind you, coming back to land. The two kites can get tangled, you both lose control and get pulled. -6) Hooked in, give the thumb up, have the Second Safety in the back of your mind. Remember, when you are hooked in, you are in danger to get pulled and the only way to stop that is to quick release without hesitation! (I am trying to find a word to easily remember these 6 steps in the last seconds Pre-fly check, like I have for Pre-fly check: S.E.A.T.S. or Site Assessment: S.H.O.E. So much to check but it will worth it! Well, you’re still hangin’ in there….Well done!! ? I admit, it is a lot of checks and it will take a while for you to do it properly. But the good thing is if you do it, your sessions will become more and more relaxed because you know you did your check. Your sessions will become better too because you will come on the spot at the right time and the right place with the best choice of material. Now what you need to know in kitesurfing is, when something goes wrong, its usually because of two things you didn’t do right. 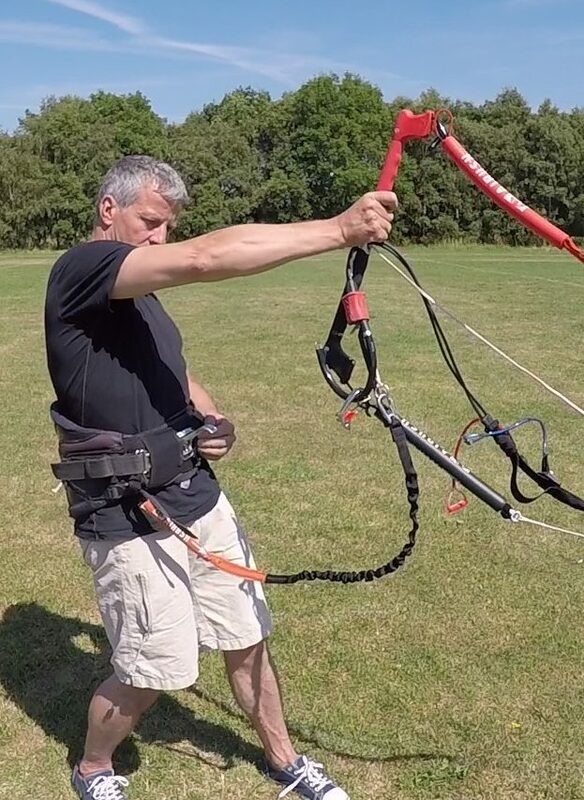 For example, if you choose a place to launch you kite that is confusing your wind (near a building for example) and your kite is not tuned properly, you might get lift in the air. If your kite was tuned, it would probably be ok. Or If your kite not tuned but you were away from stuff confusing your wind. Then too, you probably won’t be lifted. Another example is, if a line breaks and you are other powered, you will probably get pulled to the floor. But if its only one of these things happening, probably too nothing bad will happen. My point is, even if you don’t do these checks properly but at least try, you will at least avoid these two bad things happening at the same time. Thus, can make the difference between a minor incident from a catastrophic one. So please try your best to do these checks. And the last component to check but not the least is to check yourself. If you are not feeling well, if you are hungover, you won’t do your checks properly and probably do something stupid. In this case, just give it a pass. So, you see, a lot can go wrong in a kitesurfing session if you don’t do all the checks you are supposed to do. However, if you do, very little can happen. That means you won’t have to use your kitesurfing safeties. That is what we want because the safeties are not perfect and it is better if you don’t have to use them. Now it is quite a bit to check and to remember all of it, so use my acronym mnemotechnic trick. • Do your site assessment S.H.O.E. • Do your pre-fly check S.E.A.T.S.